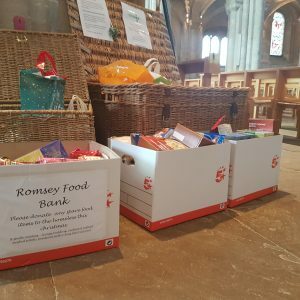 Staff here at Meachers Global Logistics have donated boxes of food and supplies to the Trussell Trust which runs a network of over 400 foodbanks, giving emergency food and support to people in crisis across the UK. Meachers has supported a number of local charities with our nominated charity for 2017 being the Saints Foundation. Find out more about how we have helped them here. « Meachers Global Logistics would like to wish you a very Merry Christmas and a prosperous New Year!